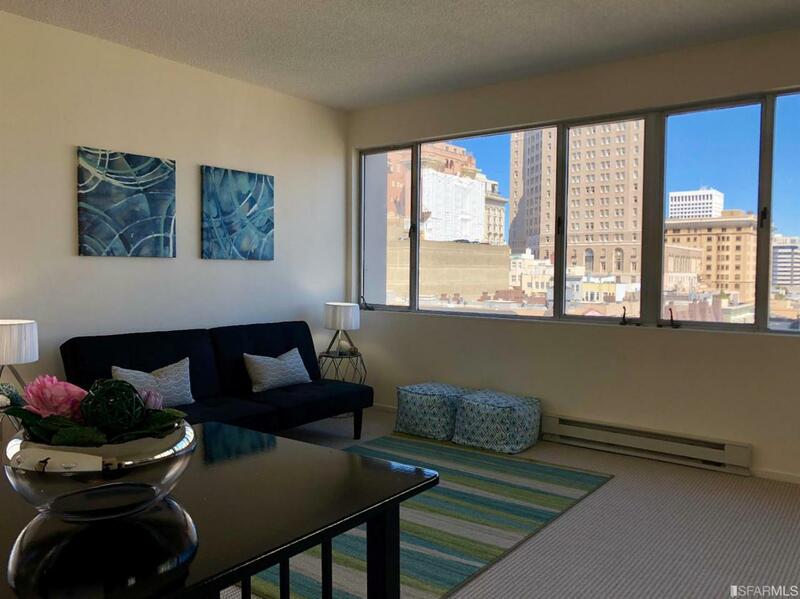 Welcome to this beautiful corner unit, filled with natural light and amazing city views. 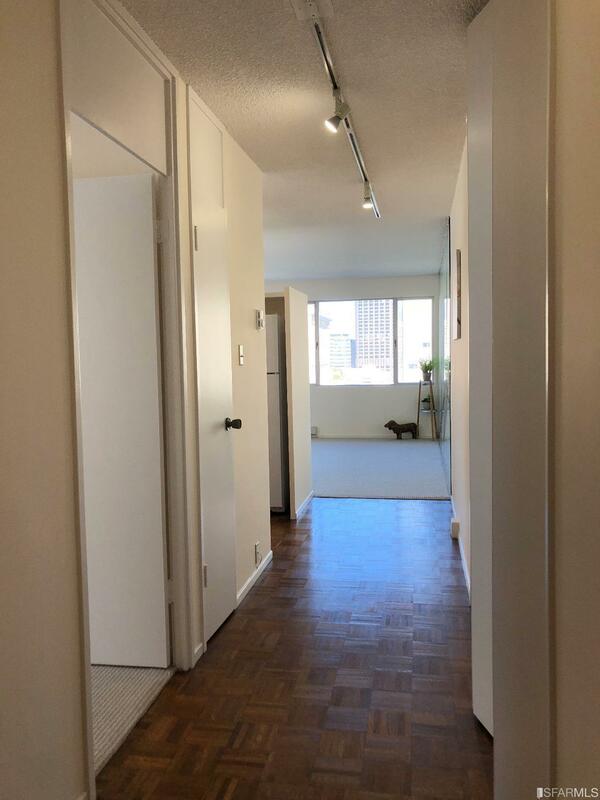 Features 1 bedroom, 1 bath, new carpets, new baseboard heaters, 1 car garage parking and storage space. 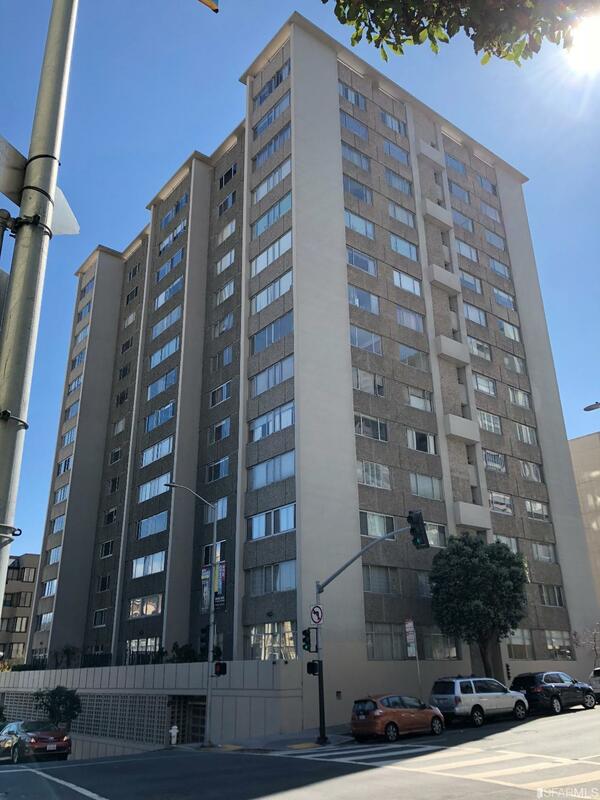 Building amenities include onsite door person, rooftop deck with panoramic views, laundry facility, library and recreation room. 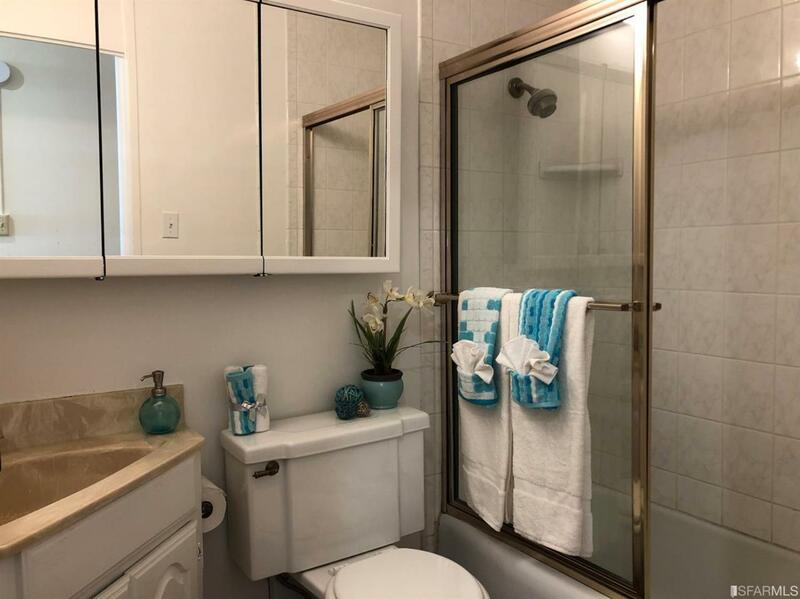 Conveniently located within walking distance to Union Square, Financial District, restaurants, shops and public transit. Must See! Listing provided courtesy of Tommy Lee of Intero Real Estate Services.